Welcome into this inviting spacious floor plan. Your like-new home flows naturally into a large great room with stunning fireplace. Entertain family & friends comfortably with the elegant dining room & eat-in kitchen boasting gleaming granite counters, ample custom cabinetry, & stainless appliances. The generously sized den can easily double as a family room, office, etc. Masterfully renovated 2 bedroom bungalow offers over 1400 square feet of space with original hard woods all throughout living area, bedrooms, & formal dining with new custom slate tile in the kitchen and all season sun room. The eat-in kitchen offers 42" custom cabinetry, subway tile backsplash and gleaming stainless appliances all included. Treat yourself to an appointment to view this one today! 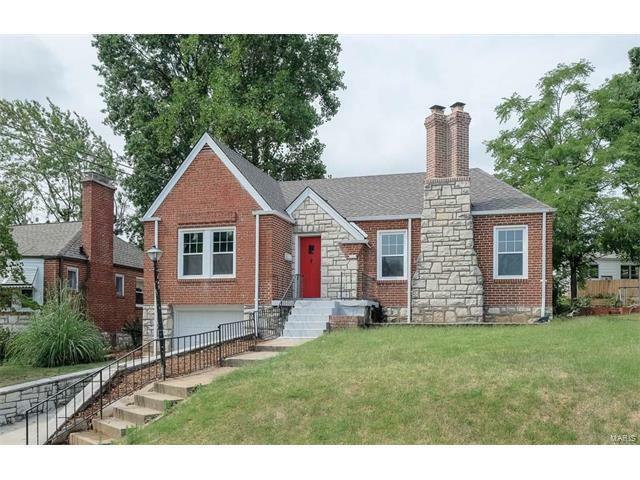 Gravois, one block south of Weber,go east or Weber, one block east of Gravois, go south on Vasel to right on Lucia to house on right.